You guys need to sign a free agent to be a hold over for this season. I just think of House of Cards. Kevin Spacey was an inch away from paradise, and probably had to hold back vomit. Spoilers: The QB we sign will be worse. Teams don't let good QBs walk unless they're rebuilding. 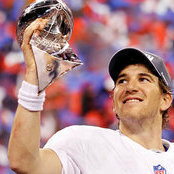 And we should be rebuilding, so time to let Eli go. I feel like you're not understanding. What's the point in signing a guy no one wants when we already have that. Also, guy we has already knows the system, is a good leader, yadda yadda. Again, the problem wasn't the offense this year...should look at stats. To use his massive cap space to help rebuild the team. If Eli isn't taking us over the hump, then what is the point. Since 2011 we have been the 12th worst team. Since 2012 we have been the 7th worst team. Since 2013 we have been the 6th worst team. We are no longer the average or even close to it. We are one of the worst teams in the league. Its time for a major change. Time to end the Eli era. Sure...I get it...but his deal is done next year. What guy are you going to sign and at what cost to replace him? No one is saying Eli is the QB of the future but the guy we sign isn't either. Perhaps we draft someone that might be? But it's not like a QB is going to make this team a contender...why not take another draft class to pick up more pieces we need and ride out next year with Eli? What FAs are you going to sign with the money we get from him? We will have $17M from cutting Eli. Use $7-12M on a quarterback. The drafted QB will compete with Lauletta and the veteran. I haven't looked at the free agent class but it will give us $5-10M additional money to get a few solid role players. Chances are our record will be the same or worst next year, but we will have more pieces in place to help the future and we will be able to get an extended look at a potential QBOTF without dealing with an Eli benching scenario. #Playfor2020. Lets make it clean now. In regards to just using our draft picks to rebuild the roster. I don't watch college football closely, but trading up for a QB with only one year starting seems risky. We are also without our 3rd round pick who we used on Sam Beal last year. Not a lot of picks to rebuild this team. A good question from Art. No, I don't think the Giants are contending in 2019. I am not committed to Eli beyond 2019. The logical decision is to start the rebuild. Everything else is is just postponing our fate. Nobody is saying that we don’t need to move on from Eli first off, I’ve never disputed that. Aside from 2017, we’ve been around the average. Most teams hover around 6-10 and 9-7 and the difference in the teams are typically negligible. A couple bounces a 6-19 becomes 8-8 or 9-7. So saying we were 6th worst or 5th worst just ignores the reality of the NFL.